Congratulations to Jersey City Veggie Burger, 9th & Coles, HopsScotch, Dark Side of the Moo, Maritime Parc, Park Tavern, Corkscrew, White Star, and Left Bank for their nominations in the NJ's Best Burger Competition in their various categories. Voting is now open from now until June 7th. Here's a first look at Raval and the story behind the restaurant. If you've seen Uncle Bud's Hot Sauces at the Grove Street or Riverview Farmers' markets and wanted to learn more, check out this interview from the River View Observer. 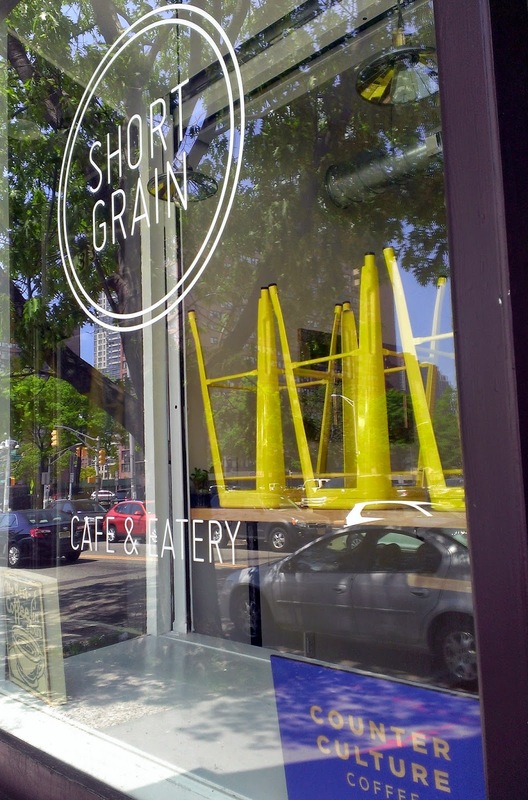 Short Grain, new Jersey City cafe, quietly opened over the weekend, serving breakfast and lunch. 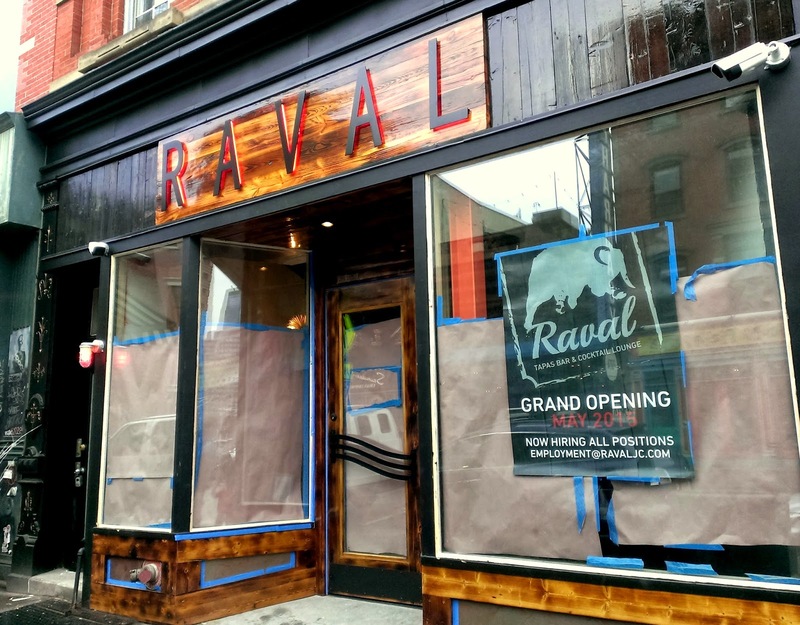 Spanish tapas bar Raval , (136 Newark Ave, off of Grove) is set to have their grand opening on Wednesday, May 27th and their ribbon cutting ceremony on Friday, May 29th at 5pm. Run by Restaurant Development Group, the owners of Satis Bistro, this is one of the most anticipated restaurant openings of the year (at least by me) and the team behind it has been hard at work over the past several months, getting everything ready, creating mosaics, putting up art, and finalizing the menus. Congratulations to Milk Sugar Love on being named one of the Best Ice Cream Shops in NYC by the Food Network. It's Memorial Day Weekend in Jersey City! 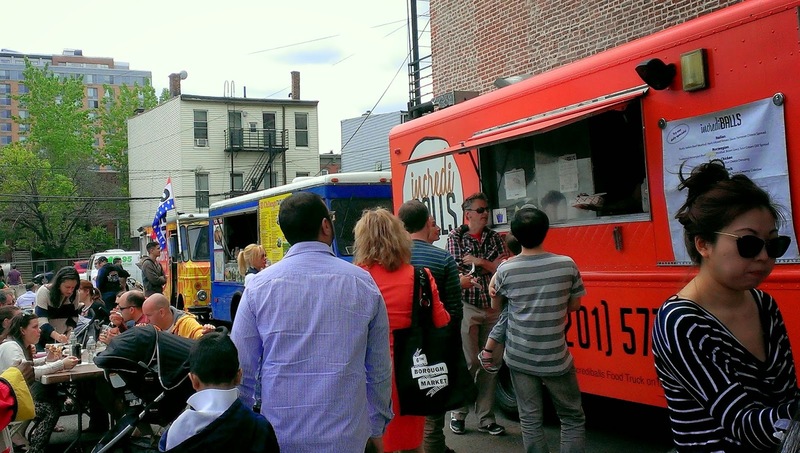 The Jersey City Food Truck Rally is back again tomorrow in the lot across from Madame Claude's on Brunswick between 4th and 5th Streets. This week, ME Casa Express, Chopping Block, and El Chilango will be there along with Peace.Love.Pops and Gaby's Kitchen, serving up empanadas! The rally begins at 3pm and runs until 9pm. Carrino Provisions, 8 Erie Steet, is hosting their first summer BBQ today, the kickoff to what will be a once weekly event all summer long. White Star Bar announced that they are opening another restaurant, but have yet to give details. So far, the space looks beautiful. Lizzmonade will be back at the Grove St. Farmer's Market tomorrow. McGinley Square Pub, a new pub with a focus on craft beers, opened last week right by McGinley Square. This upcoming Sunday is the last day for service from Livestock at LITM before Livestock closes down permanently in June. Just Beclaws Grand Opening Today! Just Beclaws, a new restaurant opening at 280 1st Street, will be opening their doors to the public and celebrating their ribbon-cutting and grand opening today at 4:00pm. Dullboy launched a full brunch cocktail menu this week. Last week, in celebration of three years of business, VB3 unveiled a brand new look and menu. The changes include al fresco dining, a lunch tasting menu, and more. NJBiz featured Talde and Carrino Provisions in an article about successful growth in Jersey City. 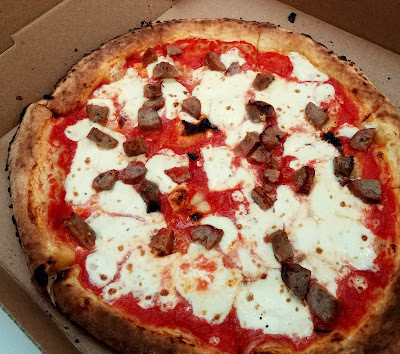 For those who don't know or have (in)conveniently forgotten, this Sunday, besides being the return of the 6th Borough Market and Riverview Farmers' Market day, is Mother's Day and there are events and specials all over Jersey City. Today, from 4:00pm-6:30, JC Families is having a special Mother's Day event with massages, music shows, and kid's activities to start the weekend off, including a special area for mothers-to-be. Pacific Flea and 6th Borough Back Again! This weekend is a busy one! Along with the JC Food Truck Rally, it's also the second Pacific Flea Saturday and opening day for the return of 6th Borough Market. 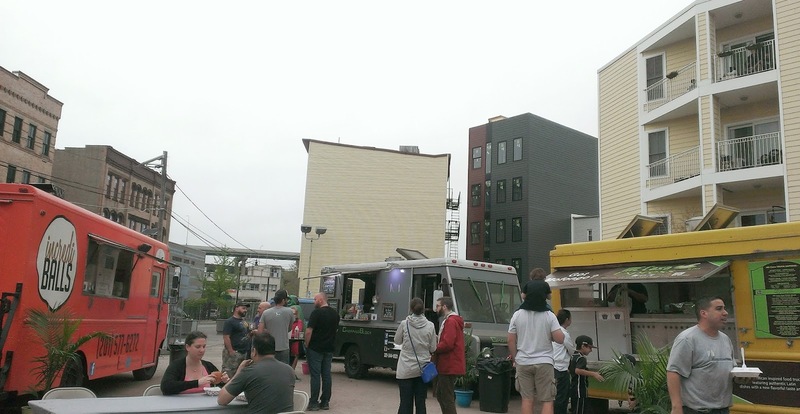 This Saturday, several of Jersey City's food trucks will gather together and park at the 318-328 Newark Avenue lot (between 4th and 5th Street) for the first time to officially launch the JC Food Truck Rally, anticipated to run every Saturday. Departed Soles, the first craft brewery coming to Jersey City, has launched a kickstarter to help with funding as they close in on the final steps of opening up the brewery. Orale MK is celebrating Cinco de Mayo for the third year in a row. They'll be opening at noon, will have DJ Scully, drink specials and a special menu. It's Farmers' Market season in Jersey City! This weekend, Van Vorst Park and Riverview Market are kicking off the first Farmers' Markets of the season. The market at Van Vorst starts Saturday morning at 8:30am and will run until about 3pm. This year, they're anticipating having their regular farmers with fresh produces, eggs, cheese, flowers, honey, and more as well as Hoboken Farms with lots of prepared specialties and breads, and X-Calibur for all your knife sharpening needs and they'll be welcoming O'LaLa Empanadas, a specialty high-end meat supplier, Bucket & Bay gelato, specialty pickle and olive oil vendors, and a fresh juice stand along with much more. Spending Saturday morning wandering through the beautiful Van Vorst Park is a great way to enjoy the weekend - especially with some modcup, another vendor at the market, in hand.